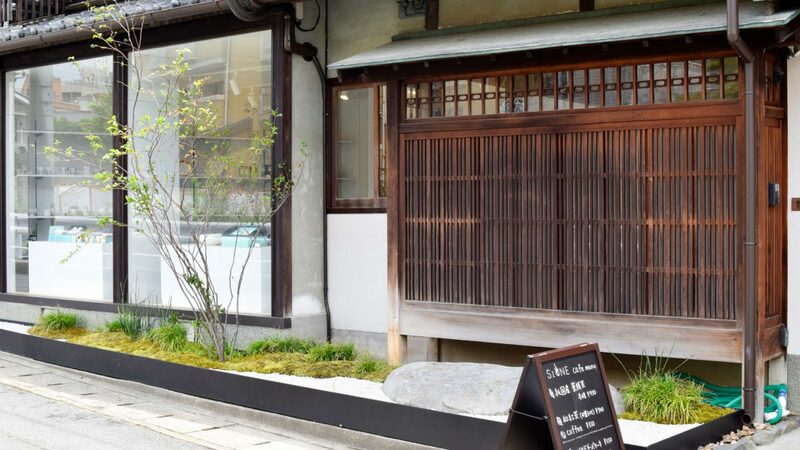 "SIONE Kyoto Ginkakuji main store" located near Ginkakuji. 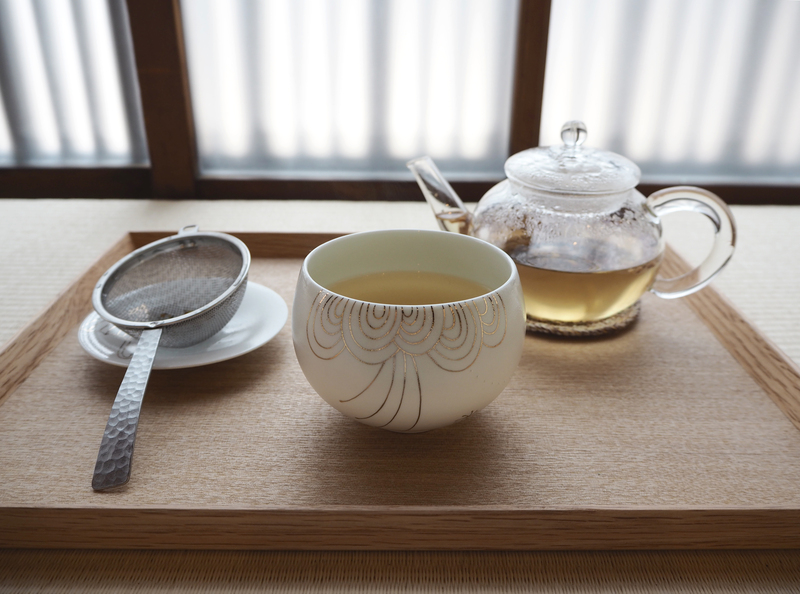 In the cafe next to the shop, you can spend a relaxing time by using SIONE 's Utsuwa according to the menu. 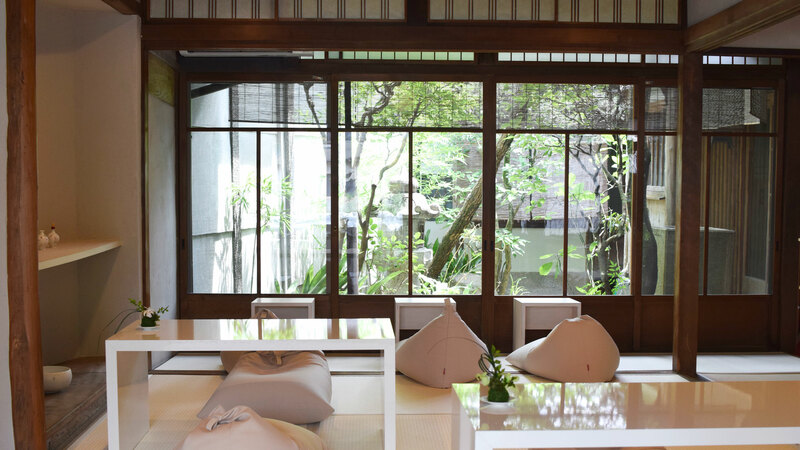 A space based on white which harmonizes the harmony between the old and the present while leaving the taste of the former inn. 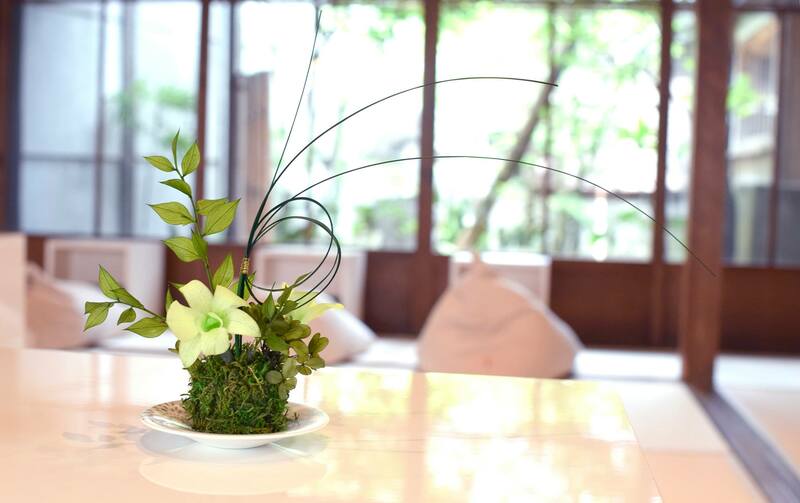 Begin with the bustle of the city, we propose time to enjoy unprecedented tea with the remaining courtyard of Shirakawa sand as a lease. 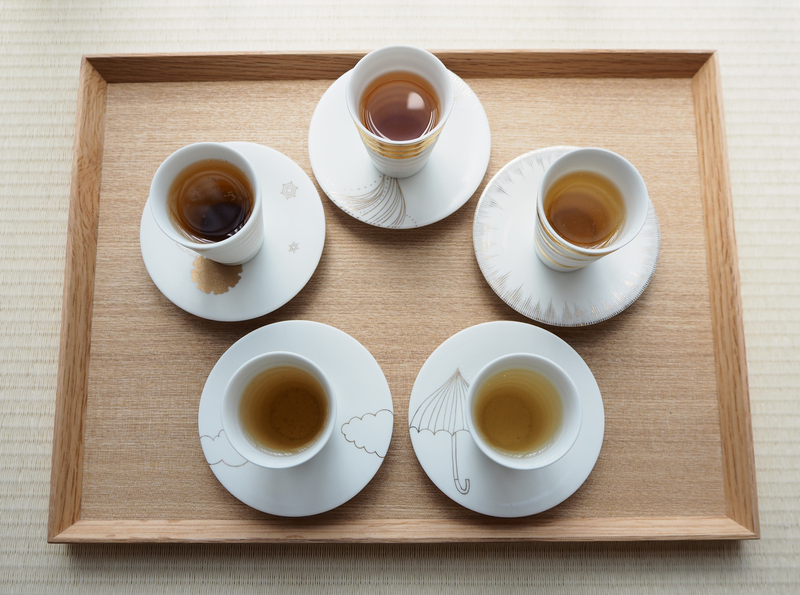 Tea has stocked carefully selected medicinal sake tea, which sticks to all domestic materials. 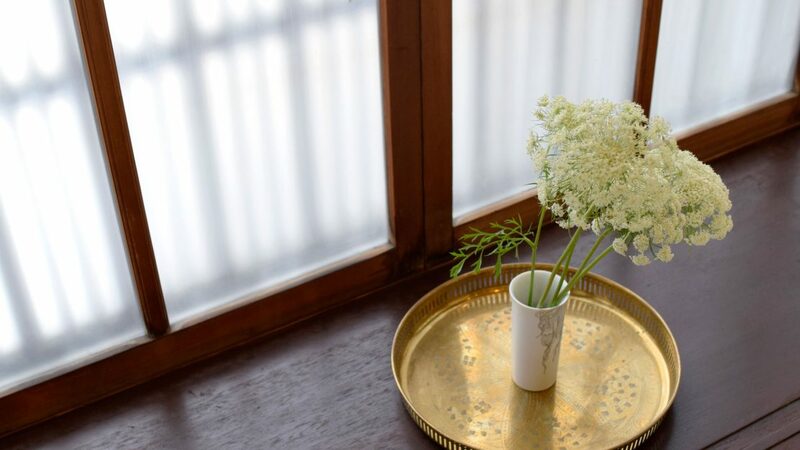 As a sweet tailored to the tea, as a candy sweet candy handed by Hayako Sugiyama, as a freshwater sweets on the first and third week of the month of the month, special sweets We are preparing. Guests with small children can also take it easy as you can pick up shoes and raise them. Beginning with pottery rich time. 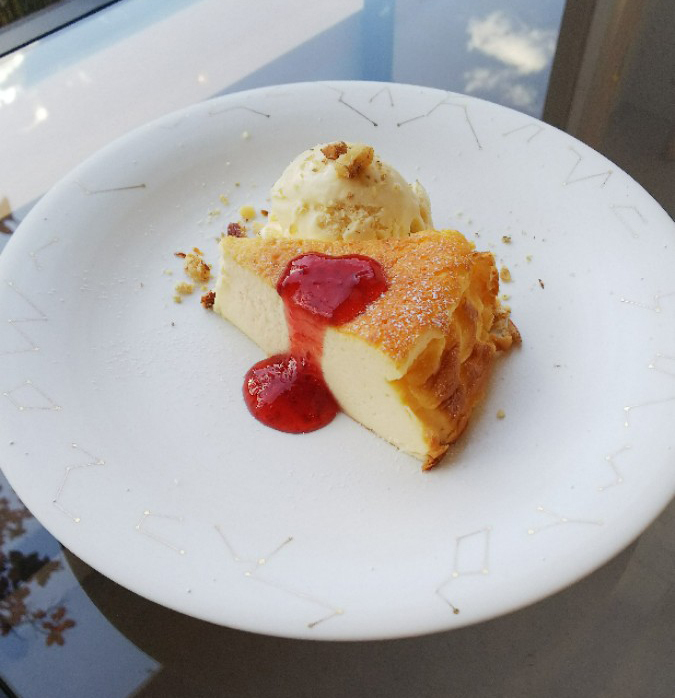 SIONE cafe wants to provide such time. Based on Kampo's way of thinking, from the feeling that we want to help our mind and body be in a flat state that should be inherent, by "supplementing missing things and excluding extra" in everyday life Was born. SIONE plate, tea has served "candy round" sweets. 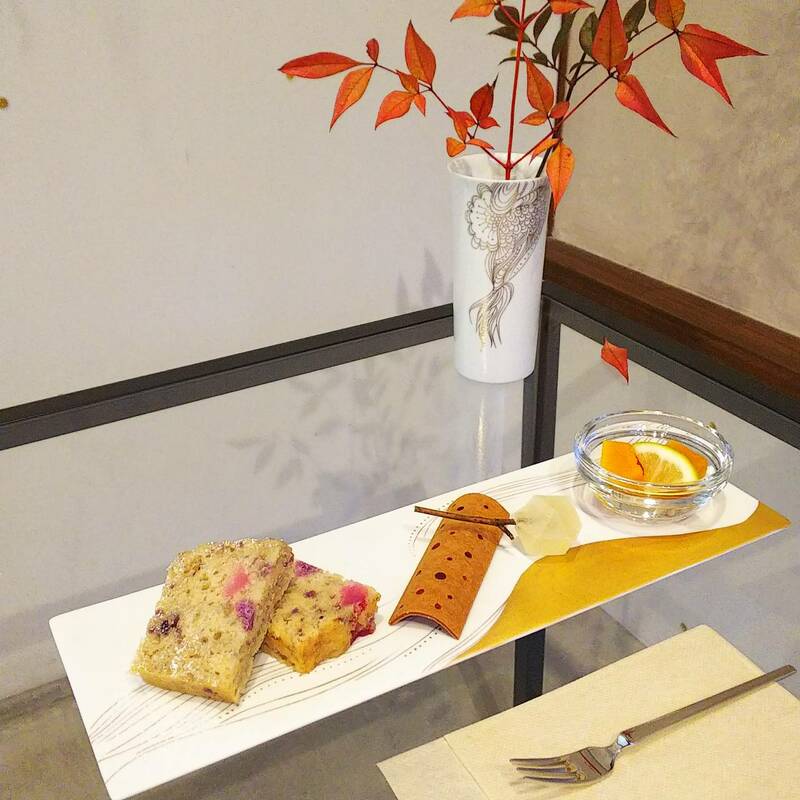 "Confectionery Maru" handed by Mr. Yoko Sugiyama who makes original sweets making use of natural colors and shapes. With rich sensibility and expressive power, we are creating new and delicious Japanese sweets in modern times.